What happens when you know nursing is your calling, but you aren’t getting accepted into nursing school? That’s what happened to Srinya Julie Sukrachan, but she didn’t give up. In fact, she got herself in and then went on to help others get in. Sukrachan wanted to become a nurse, so she could support patients and families at critical moments in their lives. She knew first-hand how it felt to be a patient. Diagnosed with juvenile rheumatoid arthritis when she was 10 years old, her rigorous treatment required a lot of hospital time. 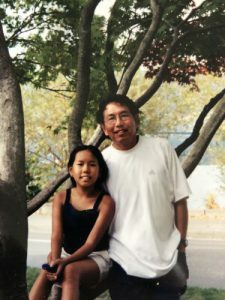 Eventually, her condition went into remission, but then her father was diagnosed with colon cancer and passed away when she was 15 years old. While in high school, she attended UW Nurse Camp, geared toward minority and low-income students interested in nursing, and that energized her. The decision gave her guidance as she entered UW. She took all the prerequisites and worked in a pain management clinic. She also volunteered at Nurse Camp to support others who, like her, were interested in the profession. She applied to the UW School of Nursing as a junior, but didn’t get in. Then, she tried again as a senior, with the same results. That attitude made the difference between success and failure. After graduation in 2014, she went to Carolyn Chow, director of admissions and student diversity at that time and co-founder of UW Nurse Camp. 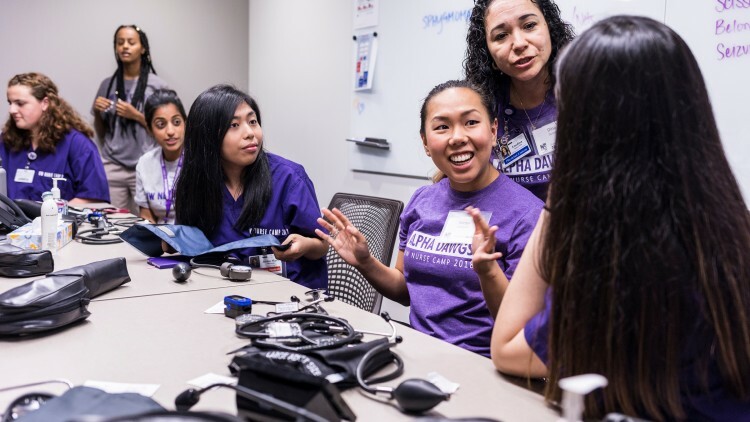 Sukrachan served as a volunteer coordinator at UW Nurse Camp for two years. “She helped me reflect on why I didn’t get in and what I could work on,” said Sukrachan. Over the next year, Sukrachan became a certified nursing assistant and worked in an assisted living home. At the same time, she took UW workshops to improve her application essay. When she applied the third time, she was accepted. With the help of scholarships, Sukrachan could completely focus on her studies during her first year of Nursing School. She went a step further. For two years she served as the volunteer coordinator for Nurse Camp. But she wanted to do more. What about when those would-be nurses were ready to apply to Nursing School? Would they struggle to get in like she had? Today, Sukrachan is right where she wants to be at Swedish Hospital as an antepartum nurse. Because she faced challenges, persevered, and gave back, she’s helping to open the way for others who dream of being in her shoes.